Caller after caller talked about the useless things they flipped the channel to. It begged the question inside of me, Why not just turn the tv off? I have to wonder how many people just watched any useless thing because they were already there in front of… What else but their Tv. I am guilty of it too. Once the tv is on there are so many choices to waste your time watching(even without cable). I have at times, got caught up with watching something I really didn’t want to just because there was nothing else on at that time. I know now and even then that I could have done something far more productive, but I got sucked in. Of course I’m talking about Tv here, but we all have our vices. I can waste an entire day online, gaming, facebook whatever it is… and never really do the things that really matter. I am not trying to say these things are wrong. In the words of Paul, “everything is permissible but not everything is beneficial”. The bible tells me to seek first the kingdom of God but most times I don’t even choose to seek him last. I instead choose not at all. What Are your choices today? 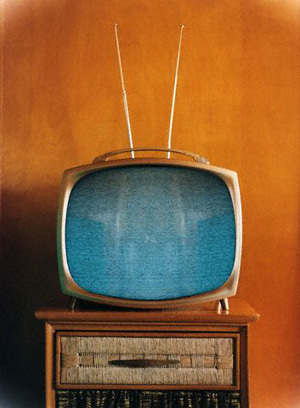 Is it tv, tv, or tv? If your so busy you don’t have time for God but plenty of time for all these other things, then it is time to re-evaluate your choices, then… Choose Christ! This entry was posted in Bible, God, idols, tv by Raul. Bookmark the permalink. >So true Raul, just as I'm getting on the iPad to read the word, I stop n play words with friends. It will only take a minute, I think to myself. Before I know it I could possible be in 7 games. And hey if Im desiring that more than God…Houston we have a problem. So then I go alright I would really like to read today but that red bubble at the bottom is saying 18 new emails easy click…oh for mua? "I'm so excited". And then I'm in my emails. And your blog is there, n of course i want to read that bc youre the greatest husband…so it led me to right here. What happened to the word? Hello God has a funny way of callin us to himself. My spanking from God, that i so desperately need dAily. Hope I don't have to revert to the actual paper bible, –whatever it takes to stay focused. Love you sugie. you're the bombastic.